These little birdies are for the Thursday update. Except I might have to keep Mr. Casanova at home. 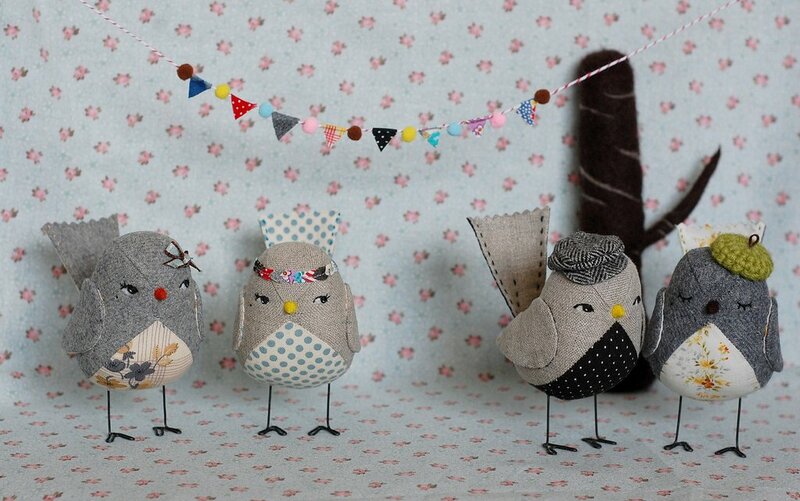 The first grey birdie on the left is made of wool and liberty fabric that I bought in London last year. 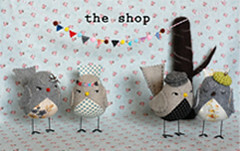 The linen birdie to her right is wearing a charming little wreath on her head. 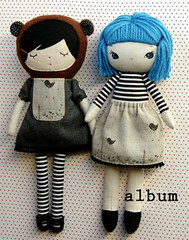 The sweet grey one on the right is also made of wool and is sporting a little green beret. All with hand embroidered eyes, beauty mark and needle-felted little beaks. Hope you like them. I think I only will have one bear girl this time but hope to have some more next month. How sweet... your birdies have such personality! Love your work! The new birds are just wonderful! so lovely! i want them all! Aw so cute! I absolutely love the first grey birdie, so sweet!